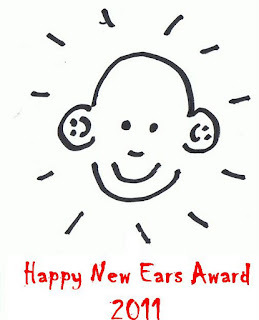 Here we are again for the Free Jazz Blog Readers Poll for the best innovative listening experience of the year. Let me emphasise that we are not talking about the best album as such, but we will reward the band or musician who show us new paths for music to take in the future, while at the same time offering lots of joy to the listener. The list of best albums will be on a separate overview. 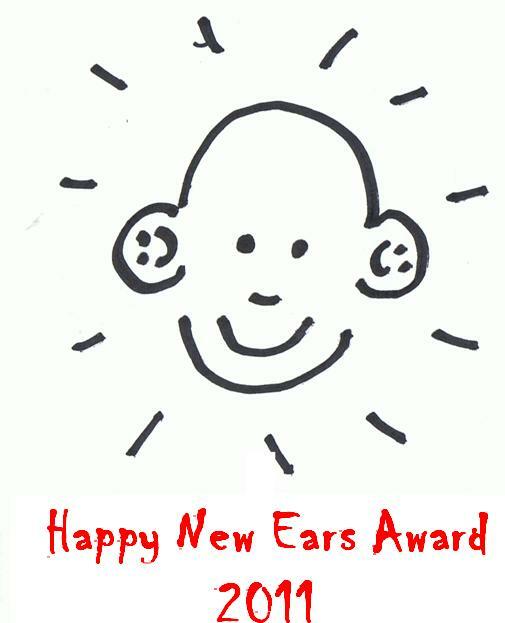 Phase 1 - between now and December 3 - establishment of the shortlist - everyone can make recommendations for the most innovative listening experience of the year. The contributors to this blog will make a shortlist out of the suggestions. Of course you can only select the albums that were reviewed during the year on this blog. Phase 2 - from December 4 till December 29 - everybody can vote on the shortlist of fifteen albums selected by the reviewers. To kick-start, here is my (Stef's) recommendation for the longlist, but as said, more suggestions are welcome. I've listened to only about half the albums on this tentative list, and though there were all indeed fantastic, one stood out for me: Peter Evans Quintet - Ghosts. I might add more recommendations here for the short list, but I would hate not seeing this one there. Don't worry, I review here with Stef, Paul, Stan and Co. Even we don't get the chance, or the time, to listen to everything. Just pick what you know and send in suggestions, it's always interesting to hear of alternatives .... that way we get to learn something also. Have you had a chance to hear the new Wadada Leo Smith album on TUM with Min Xiao-Fen on pipa and occasional voice and Pheeroan akLaff on drums? Beautiful music, I think you'd really enjoy it. 'Ghosts' would also be my pick of the year at this moment. RED Trio & John Butcher – Empire. Two very special albums with new trumpet music. Totally different from his duo with Peter Evans or his Trumpet/Amplifier record. Les Exercices Spirituels (George E. Lewis) should also be on the list! Hi stef .. Maybe you have time to review the album Mary Halvorson & Jessica Pavone - Departure of reason.. I think it should be also on the list ..
As for the most innovative, or new, or fresh or wahtever I feel that Michael Zerang/Jim Baker/Kyle Bruckmann cd shuould be included. As well as the clarinet quartet IRCHA with Mikolaj Trzaska, Waclaw Zimpel and Joe McPhee. both among the most surprising releases of this year I've heard. But I don't think they have been reviewed here. Whatever, thanks for your work. Humble thanks for being so kind as to put The Limbo Ensemble (of which I am one part) on your top list along with these remarkable musicians, some of which are strong influences on me. Keep up the good work! Thanks for list. There are few new names for me. I would vote for Farmers by Nature and BB&C. One that I would nominate is Giovanni Di Domenico & Alexandra Grimal - Ghibli. But the important thing is that I need to listen to more of these! Thanks, Stef. Some suggestions from my list. Jürg Wickihalder European Quartet –Jump! Undivided 5tet - Moves Between Clouds. Starlicker by Rob Mazurek. An album that really demands "new ears"! - Joelle Leandre - SOLO, DVD AND BOOK! Tank you so much Stef, and all fantastic Free Jazz Blog Team! This Fabulous era for creative music have in this blog a powerfull dynamo. Peter Evans Quintet - Ghosts, David S. Ware - Planetary Unknown, Kaiso Stories, The Ames Room, Farmers by Nature, Michael Zerang & Jim Baker & Kyle Bruckmann, Pourtant les cimes des arbres, Akira Sakata with Jim O'Rourke, Side A to name a few - are in my playlist with enormous playing counts. Some honorable mentions, too: Seval of Fred Lonberg-Holm, Ig Henneman Sextet- Cut a Caper, Daunik Lazro - Some other Zongs, Masayuki Takayanagi - solo, Joe Morris - Wildlife, Joe McPhee survival unit iii - syncronicity, The Rempis Percussion Quartet - Montreal Parade. KonstruKt & Peter Brötzmann – Dolunay. obviously KonstruKt guys are the new ears.